As of October 2016, your apartment is ready for fit-outs. This report is structured like our last report to make it easy for you to track progress. • Door jambs, touch-up, kitchen area POP and punning work is completed up to the 14th floor. • Bore packing of sanitary lines is completed up to the 14th floor. • Toilet dado tile work is completed up to the 14th floor. • Toilet floor tile work is completed up to the 14th floor. • Kitchen cabinets, granite slab, and dado tile work completed up to 14th floor. 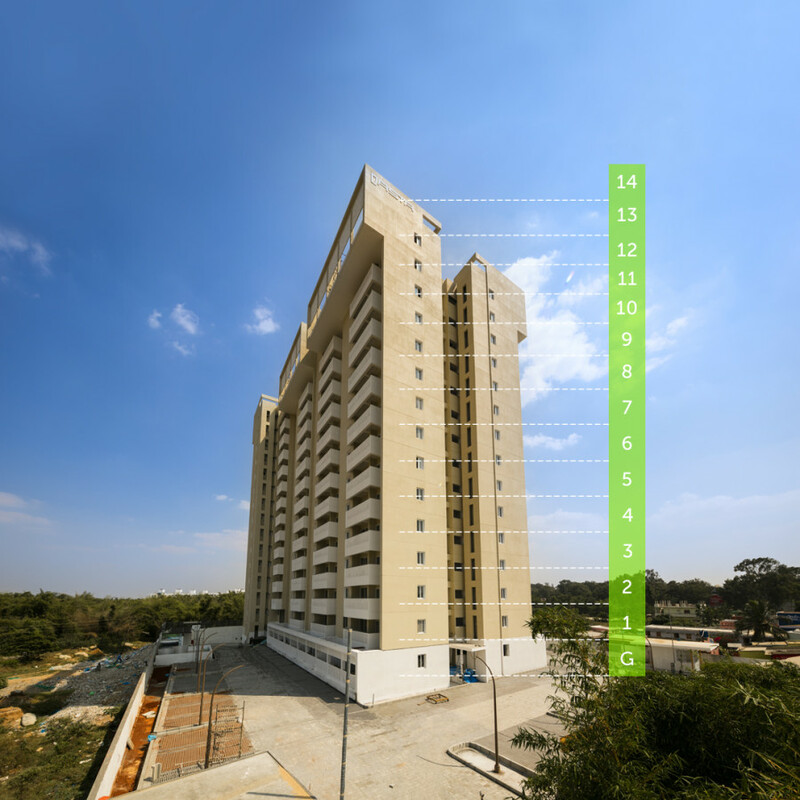 • Fire staircase door-frames have been fixed up to the 14th floor. • Corridor tile laying work is completed up to the 14th floor. • Screed concrete work in the master bedroom of the flats has been completed up to the 14th floor. • External paintwork is completed. • Stormwater tank pump fixing work is completed. • Final Coat of paint is completed from 2nd till 11th Floor. • Main Door Final coat of polish work is completed from 2nd till 12th Floor. • Bed Room doors & toilet Doors Final Coat of paint is completed from 2nd till 11th floor. • Corridor Light Fitting is completed from 2nd till 14th floor. • The Main door, Balcony & Utility lights fixing is completed from 2nd till 14th Floor. • Clubhouse civil work is completed. • Podium cleaning & waterproofing work is Completed. • Bedroom doors & toilet doors paintwork is in progress on 12th floor onwards. • Main doors and bedroom doors shutter fixing work is in progress. • UPVC sliding doors and windows installation work is in progress on the 14th floor.